Straight Outta… (Anywhere) UK Rep your City with hot urban street designs. From the Capitol of London to Manchester, Birmingham and Nottingham. One for our loveable COCKNEYS represent the big Capital in style with this fresh “Straight Outta London” design. Nottingham’s hustle is proven, show your allegiance with this edgy “Straight Outta Shottingham” piece. Bang, Bang! Manchester gang, turn up and represent the cult city with a smoking “Straight Outta Gunchester” shirt. UNITED WE STAND with a constantly thriving industrial heritage also RESPONSIBLE for putting BOXING back on the British MAP, thanks to THE HITMAN Ricky Hatton WORLD CHAMPION in five different divisions. Rep the infamous BIRMINGHAM City with this snazzy new “Straight Outta Brumtown” tee. STRAIGHT OUTTA BRUMTOWN the cultural mixing pot. A city known for its vibrant youth and community & the infamous looting of 2011. 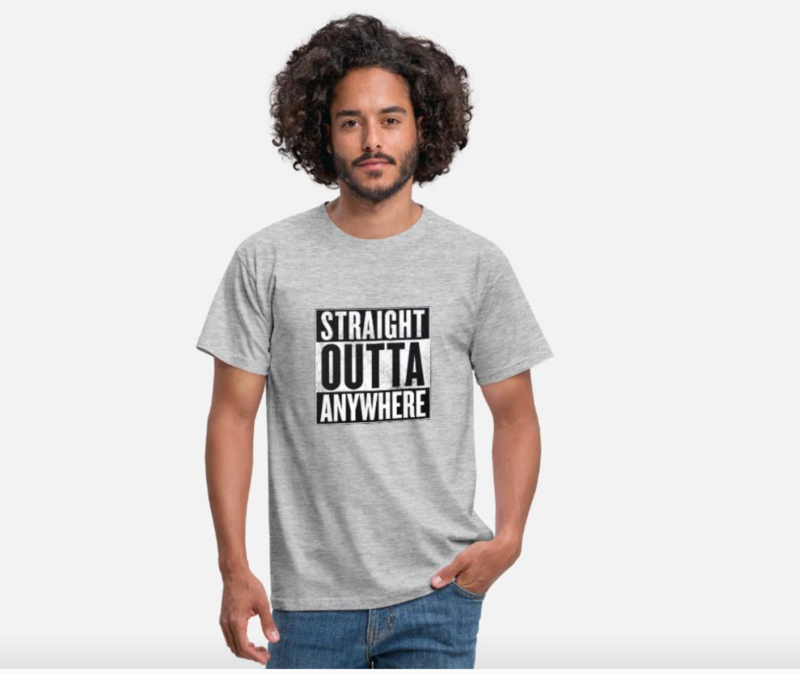 The Instant Classic “Straight Outta Anywhere” tee. Statements don’t come much bolder, one for the Urban Survivalists!